The euro continued its decline and fell to the new two-year low against the dollar. The Germany import prices fell by 0.5% m / m in November and 1.9% y/y after -0.3% m/m, -1.2% y/y in October. According to the initial assessment, the Eurozone consumer confidence index rose slightly in December by 11.0 vs. -11.6 previously and the final French GDP evaluation for the third quarter will fix the earlier results announcement, + 0.3% q/q. The pair recovery was limited by the resistance at the level of 1.2580 after its testing where the pair failed to consolidate above the 25th figure that leveled all its gains. The return below 1.2500 led to its decline to the support at the level of 1.2270. This level was broken downwards. 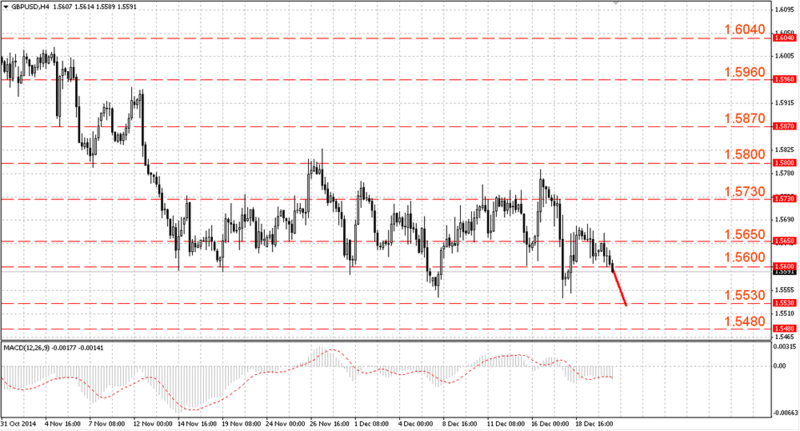 The support levels are 1.2190-1.2200, and the resistance levels are 1.2270-1.2290. It is possible the level of 1.2180-1.2200 testing in the short term if bears consolidate below 1.2250-1.2270. If they fail and the euro will return above 1.2350-1.2370 we can expect another testing of 1.2500-1.2520 in this case. The pound came under selling pressure and finished the session with losses against the US dollar. The 3 quarter GDP evaluation is expected to be without changes in comparison to the prior one that showed a 0.7% q/q, 3.0% y/y. The pair GBP/USD was able to rebound from the support around 1.5580-1.5600 and break through the resistance around 1.5650-1.5670. The pound failed to consolidate above 1.5650-1.5670 that led to the next level of 1.5580-1.5600 testing. 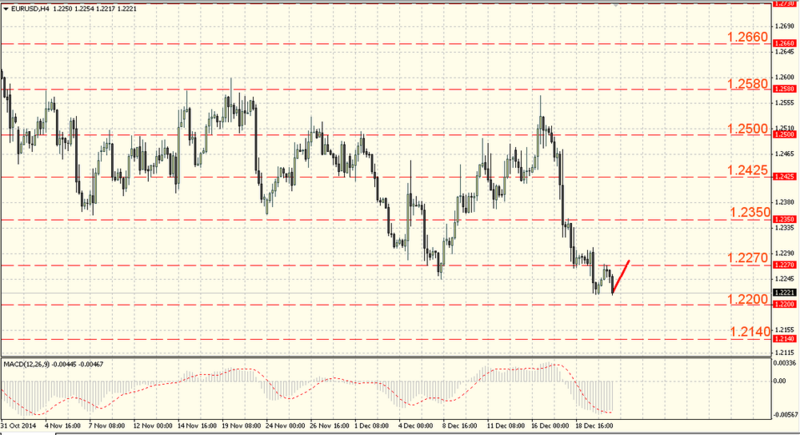 The support levels are 1.5580-1.5600, and the resistance levels are 1.5650 – 1.5670. The pair decline to the 56th figure attracted buying interest. 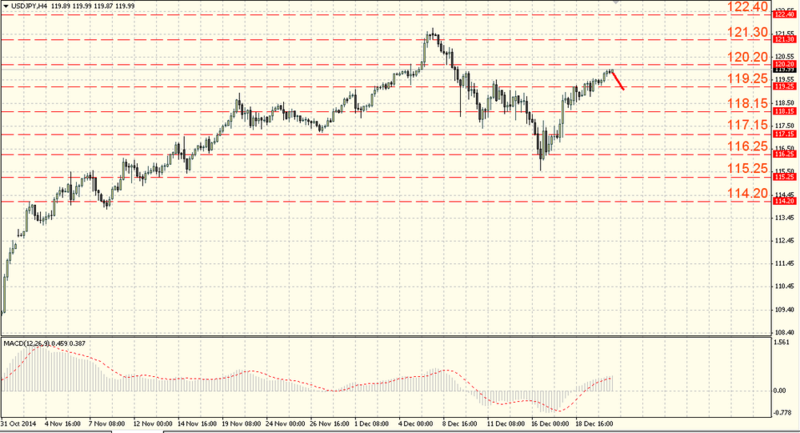 The support breakthrough will lead to the level of 1.5510-1.5530 testing. If bulls manage to consolidate above 1.5600-1.5620, then they will get a chance for testing and the resistance breakthrough around 1.5730-1.5750 that significantly improves the pair perspectives. The Japanese yen fell against the dollar and in this case, the drivers were the possible policy tightening Fed signals, as well as the Bank of Japan rate meeting results. We believe that the Japan household spending in November remained in the negative trend for the year, -3.5% y/y after -4.0% y/y, the consumer price index fell slightly in November to 2.5% y/y vs. 2.9% y/y in October and the unemployment rate remained unchanged at the mark of 3.5%. The pair fell to the level of 116.05-116.25. Here the dollar was sold off that led to its rise below resistance around 119.25-119.45. The pair can test the level of 120.20-120.40 in the short term and its breakthrough will open the way to the high at the level of 121.30-121.50. The bears’ attempts to renew the correction can be limited by the support near 119.05-119.25. The loss of the last level may lead to a decrease to 117.95-118.15.